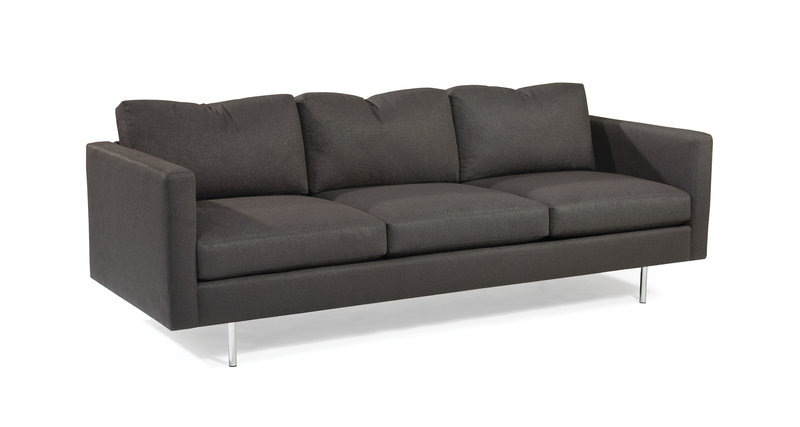 Originally designed in 1964 by Milo Baughman, the 855 Design Classic sofa is a timeless icon of the modern era. Select one of our many fabrics or leathers or provide COM. Polished stainless steel legs are standard. Also available with maple legs in any TC wood finish. Must specify. 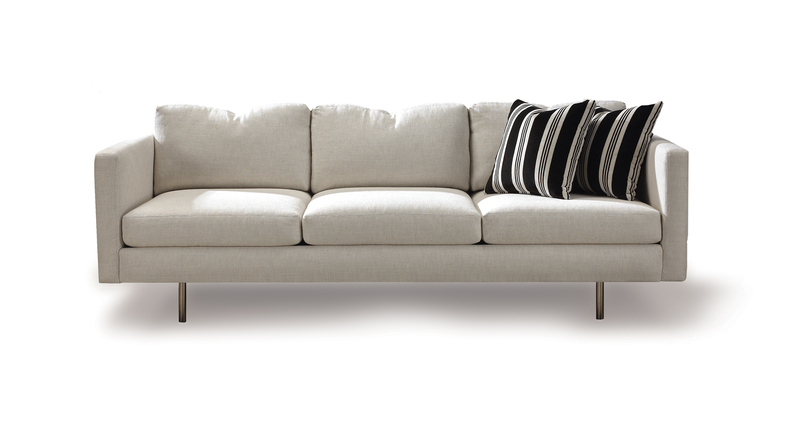 Height to top of back cushion is 32 inches. Polished stainless steel legs standard. Throw pillows optional. Also available with maple legs in any TC wood finish. Must specify.